We can't say enough about the benefits of cabinet refacing. What's not to like? In addition to saving our landfills from a ton of unnecessary waste, you wind up with virtually brand new cabinets, that look as good as custom cabinets, for just about half the cost. However, we should be clear that the only way you'll enjoy cabinets that look like custom cabinets - and are as durable - is if you hire a company who does GREAT cabinet refacing. Not all cabinet refacing jobs are considered equal and you should know the difference. If you mistakenly hire a fly-by-night cabinet refacing company, or buy into a do-it-yourself kit's "just like the professionals" advertisement, odds are you'll end up with cabinet refacing that makes you want to cry (especially when you have to pay a company who does Great cabinet refacing to re-do it for you). 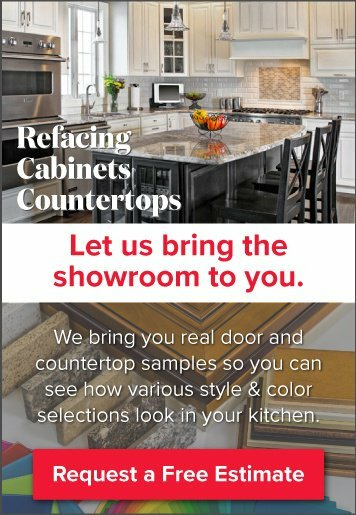 Believe us when we say there is a noticeable difference between GREAT cabinet refacing and BAD cabinet refacing. Companies that take pride in their cabinet refacing will consider your cabinet refacing job as a permanent solution. 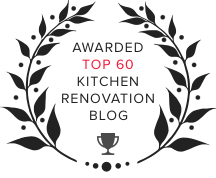 We stand by our work 100% and our goal is to do such an amazing job that your kitchen cabinet selections look timeless and will never need to be replaced unless your interior design preferences change down the road. Your finished cabinets will look custom and are durable to boot. As we said above, not all cabinet refacing jobs are considered equal. When Kitchen Magic does the job, we reinforce your cabinet boxes and frames so our finished product is often more durable than custom cabinets since the structural foundation is doubly-strong. Then we use the highest-quality materials and a double-lamination process (considered "proprietary" because we invented it!). This process adds a buffer between the veneer and the original surface to prevent warping and preserve the aesthetic. When the job is complete, you have a super sturdy set of cabinets underneath, a beautiful set of cabinet doors on top, and we promise the whole kit-and-caboodle will withstand daily wear-and-tear in your kitchen. Great cabinet refacing jobs come with a warranty, and a good one at that. Never work with any company or "professional" cabinet refacing contractor who doesn't offer you a respectable warranty for their products and their craftsmanship. 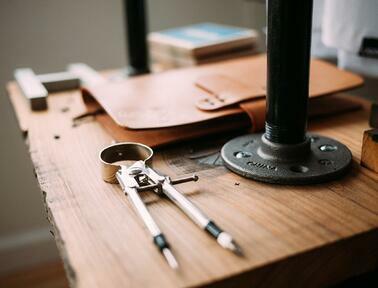 We love the DIY movement but not when it leads people do believe they can do work that requires a significant amount of training and know-how to be done well. Permanent cabinet refacing is not a DIY job unless you're a professional in the field. The end results could be dismal at best. Often, bad cabinet refacing is intended to be a quick-fix, to help your house sell quickly. This is what the majority of DIY kits and super-cheap cabinet refacing companies are all about. Hence, the end product rarely looks custom and will typically warp, peel, crack and just plain look bad in a short amount of time. Why even risk a bad cabinet refacing experience? 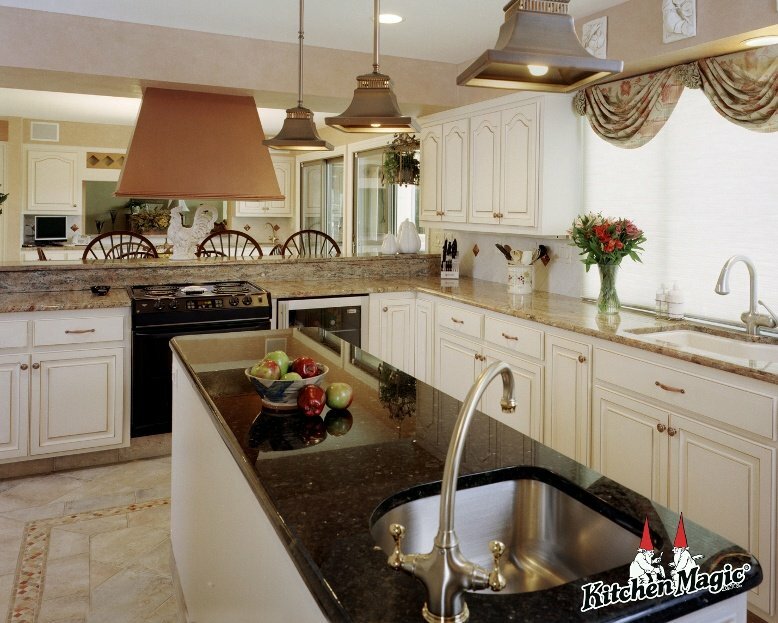 Contact a company like Kitchen Magic and hire the GOOD guys to reface your cabinets.